The local district of Rotary has selected seven members for its Group Study Exchange (GSE) team to travel to Hyderabad, India in mid-January 2018. (SAVANNAH, HINESVILLE, JESUP) Rotary District 6920, located in southeast Georgia, is sending a Group Study Exchange (GSE) team to Hyderabad, India in early 2018. During the month-long trip, team members will stay in Rotarian’s homes, attend Rotary Club meetings, have vocational days, visit Rotary-sponsored humanitarian projects and tour cultural sites. Members will also participate in Polio National Immunization Day, as the eradication of polio is one of Rotary’s largest missions. Brigitte Shanken, Assistant Governor and Hinesville Rotary Club member. Joey Darley, member of the Jesup Rotary Club. Cari Phelps, Metro Savannah Rotary Club member. 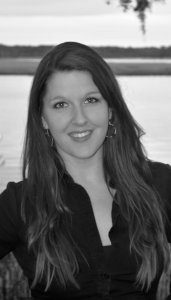 Lisa Grove, member of the Savannah Rotary Club. Jose Dacruz, member of the Savannah East Rotary Club. The remaining two members will be designated as alternates. A team from District 3150 in India will travel through our District 6920 in April and attend the District Conference in Jekyll Island. Clubs wanting the India team to visit their communities should contact GSE Co-Chairs Justin Godchaux or Andy Lohn. To apply for the GSE, individuals’ applications were solicited, and applicants were interviewed by Neely and the GSE Committee. It is anticipated that a team will travel again next year to Sri Lanka. To learn more about Rotary District 6920, please visit: http://www.rotarydistrict6920.net/ Follow the 6920 team on Facebook at Rotary District 6920 GSE Team. District 6920 consists of 62 clubs with a membership of over 3,200 members scattered throughout southeast Georgia to include Macon, Augusta, Valdosta, Brunswick, Camden, Tift, and Savannah. 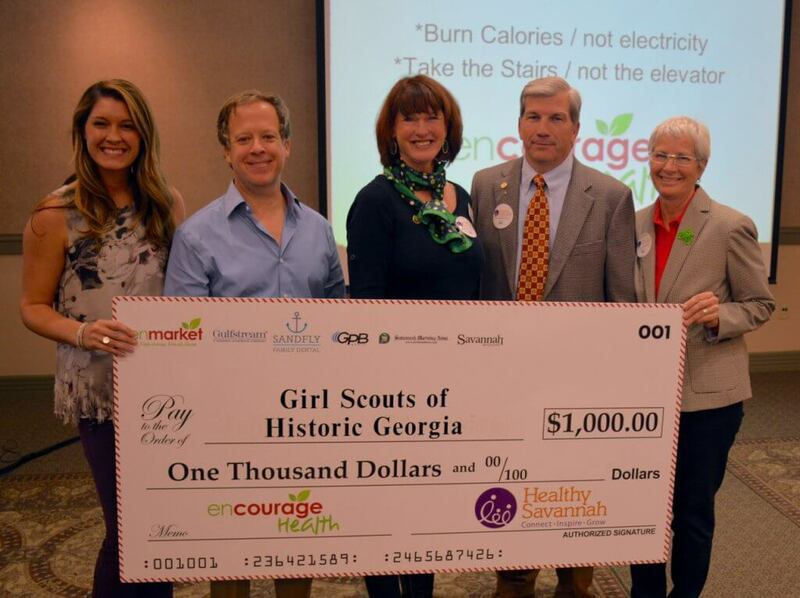 (LEFT TO RIGHT) Melody McCarthy, Events Coordinator at enmarket; Mark Bennett, Board Member of Girl Scouts of Historic Georgia, Sue Else, Chief Executive Officer of Girl Scouts of Historic Georgia; Tom Feldman, Board Member of Girl Scouts of Historic Georgia; Paula Kreissler, Executive Director of Healthy Savannah. (SAVANNAH, GA) Savannah’s Student Story Space Announces Finalists and Semi-Finalists for 2017 (S)3 StudentSuperShorts.com Film Contest. Finalists in each category will be shown live at the Trustees Theater on Wednesday, November 1 at 10 a.m.
(SAVANNAH, GA) The Savannah Film Alliance will meet Thursday, Nov. 9, from 3 to 5 p.m. at Savannah Tech. Those with a stake in the entertainment industry are invited to attend to discuss their goals and how to improve the filmmaking experience in the Savannah area. To RSVP, contact Bo Bowen at cbowen@thebowenlawgroup.com. 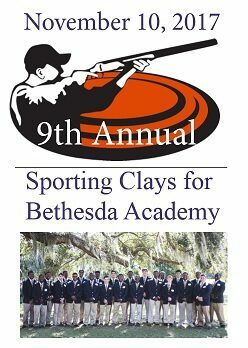 (SAVANNAH, GA) Bethesda Academy’s 9th annual Sporting Clays Tournament will be held on Friday, November 10 at the Forest City Gun Club. The tournament includes a wild game lunch and wild game hors d’oeuvres cocktail reception, both prepared by Chef Kirk Blaine. All sponsorship and event proceeds benefit Bethesda’s scholarship program for young men in grades six through twelve. 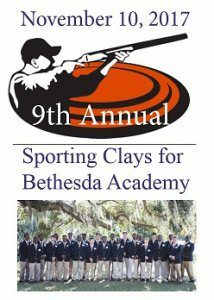 For sponsorship and registration information, please visit http://www.bethesdaacademy.org/giving/special-events/sporting-clays/. (SAVANNAH, GA) The Junior League of Savannah is now taking applications for Community Projects and Community Assistance Funds that align with their current focus of K-12 education performance. For more information or to apply, visit https://jrleaguesav.org. The application deadline is November 15, 2017. Leveraging the power of social media is a key component for a business trying to strengthen brand messaging. With 313 million active users, for example, Twitter is one of the most popular and powerful social media networks worldwide. It’s a proven influencer of brand connection and purchasing decisions and can even boost offline sales. The successful Twitter marketing strategy should focus on listening to and joining in discussions to hear what matters to your audience, rather than trying to force-feed the conversation. One of Twitter’s recent offerings, the Twitter Poll, is a great way to connect with audiences, gain insights into your follower base and provide short, clear and engaging context around marketing campaigns and efforts. One of the best ways to take advantage of polls is by using timely events such as holidays, sports events, news stories and viral hashtags to encourage conversations and retweets. Most people have heard of hashtags at this point but may not know this content sorting system was created by Twitter. It should not be overlooked as one of the most powerful ways to network, inform and influence. As a general rule, a tweet with a hashtag will receive higher engagement in the form of shares and retweets, which means more people will see it. Businesses can strike gold by using a trending hashtag, which represents topics currently receiving the most traffic on Twitter. If thousands of Twitter users are using a trending hashtag while tweeting about a popular topic and that topic might relate to your company’s brand, product or mission, it would make sense for you to join that conversation with thoughtful, related content. Monday: #MusicMonday, #MilitaryMonday, #ManCrushMonday or #MCM, #MondayBlues, #MondayMemories and #MarketingMonday. Tuesday: #TravelTuesday, #TrendyTuesday, #TipTuesday, #TopicTuesday, #TransformationTuesday and #TuesdayTreat. Wednesday: #WayBackWednesday or #WBW, #WisdomWednesday and #WellnessWednesday. Thursday: #ThrowBackThursday or #TBT, #ThursdayThoughts and #ThankfulThursday. Friday: #FridayFunday, #FearlessFriday, #FitnessFriday, #FollowFriday or #FF, #FlashBackFriday or #FBF, #FunnyFriday, #FeelGoodFriday and #FoodieFriday. While hashtags can be advantageous to develop content on trending topics, tread carefully. The key to using trending hashtags effectively is taking the time to select one that aligns with the goals and purpose of the organization. Here’s an example of how to properly use a trending hashtag. If you are raising funds for a puppy shelter, you may want to capitalize on event-related trends such as #NationalDogDay and #NationalPetDay, even if the top hashtag is #Kale. Animal enthusiasts are most likely to sympathize with your goals, so this is the audience you want to reach, even if the trend is limited to specific days of the year. On the other hand, #Kale will reach nutritionists and foodies who might scroll past your tweet with little more than a passing wonder as to why a puppy shelter has appeared on their feed. When used purposefully, Twitter Polls and trending hashtags can be pivotal to the visibility and success of a social media campaign. Be watchful for helpful trends as they are surfacing, and your tweets will stay at the top of your audiences’ newsfeeds. Choose the right trend and your tweets can lead conversations that involve hundreds of Twitter users every day. There’s been a lot of talk recently about how automation may soon replace people in the workforce in areas from transportation to financial sectors and others. Some academic counselors are even advising students not to pursue certain fields of study once thought to be sure bets for good future employment because a job may not be waiting for them when they get out of school. One exception is the commercial construction industry. Although it has benefited from many advancements in robotics, the commercial construction industry still needs skilled tradespeople to fill positions now and into the future. They include, among others, carpenters and concrete mixers, crew leaders and office managers with an immediate and ongoing need for qualified workers from entry level to management. But the industry workforce is not growing as it should, so its leaders must do a better job of inspiring young people to seek careers in commercial construction. Since the end of the 2008 recession, the workload has been steadily rising, but the workforce has failed to keep pace with qualified applicants needed for mid-level management positions and skilled labor jobs. A recent study by the Associated General Contractors of America found that 73 percent of construction firms in the U.S. plan to expand their payrolls this year to meet project demands, but those surveyed also expressed concerns about the availability of qualified workers to fill those positions. Europe is experiencing similar issues. According to a recent report in the United Kingdom’s Daily Telegraph, the construction industry will create nearly 200,000 new jobs over the next five years as demand for new homes fuels a boom in the sector. So why is there such a large gap in the construction workforce? There are a number of reasons. Those who are in the profession are getting older and many mid-level professionals left during the recession to pursue other careers. Our industry must do more to retain the workers we have and lure back those who left, such as offering incentives like project completion bonuses. But the big problem is that too few young people are pursuing construction jobs out of high school or college. That’s partly because the construction sector has an image problem and millennials tend to view the industry as old fashioned and not very dynamic. They also want security and variety in their careers and want to be challenged and valued. So the construction industry has work to do to convince millennials of the value of working in construction. In reality, it has something for virtually everyone, from project management to 3D design and modeling, historic preservation, masonry, carpentry and more. If we want to attract graduate-level talent from our colleges and universities, we need to change perceptions of our industry. As an example, a study by the National Association of Home Builders found that only three percent of young adults were interested in construction trades, citing the physical demands of difficult work as deterrents. They also generally underestimated the financial benefits of a career in the construction trades. While it’s only one piece of the total employment package, competitive compensation is important. Normally, base salary is determined by the scope of the employee’s responsibilities, qualifications and years of experience. Construction workers earn an average salary of $31,910 per year. The average salary for a construction manager is $73,087 per year. Most companies offer a variety of programs that expand upon your benefits and compensation package too, and this information needs to be shared with our young workforce. We should work closely with academic and technical colleges, as well as high schools, to provide information about the benefits of a career in commercial construction and its promising future. We should also offer more internships and apprenticeships that encourage young people to try construction and gain work experience while they learn a skill. By working with educators, we can help them define and streamline their programs to better focus on developing skill sets that are critically needed in the commercial construction industry. 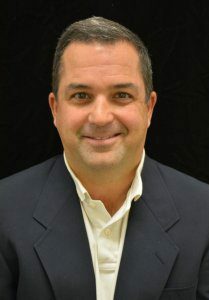 Chris Tilton is the co-founder of the Dewitt Tilton Group, a Savannah area commercial construction company. For more information or to contact Tilton, call 912.777.3404 or email chris@dewitttiltongroup.com. (BRUNSWICK, GLENNVILLE, AUGUSTA, GA) The Glennville and Augusta chapters of Rotary presented $2,250.00 to MAP International in Brunswick to supply over 200 Disaster Health Kits (DHK) to victims of Hurricane Maria in Puerto Rico. 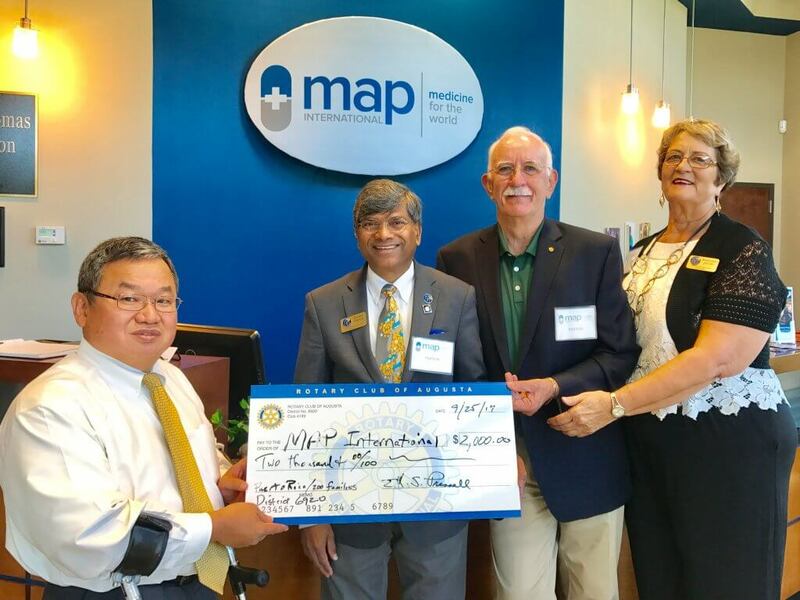 Dr. Hamsa Thota, District Governor of Rotary District 6920, presented a check for $2,000.00 from the Augusta Rotary Club to MAP International President and CEO, Steve Stirling. The donation will supply 200 DHK’s to Puerto Rico citizens. MAP International and Rotary launched a program last Tuesday to provide life-saving medicines to uninsured or underinsured low-income people in surrounding areas. At the launch event, Margaret Jacobs, District Governor Elect, and Mike Muldowney, Assistant District Governor, presented an additional $250.00 given by the Glennville Rotary Club and Virginia Ellis, of the St. Simons Rotary Club, to provide 25 DHK’s to hurricane victims in Puerto Rico. The Rotary Club of Augusta Donates to MAP International to aid in Puerto Rico disaster relief. 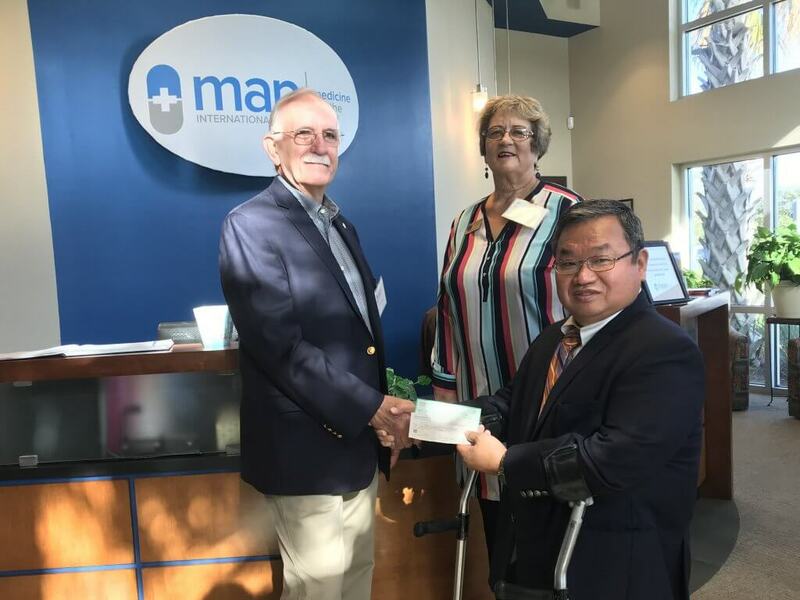 The Rotary Club of Glennville donates to MAP International to aid in disaster relief in Puerto Rico. Rotary International is a global network of 1.2 million neighbors, friends, leaders, and problem-solvers who come together to make positive, lasting change in communities at home and abroad. Our guiding principles have been the foundation of our values: service, fellowship, diversity, integrity, and leadership. Rotary members believe that we have a shared responsibility to take action on our world’s most persistent issues. Rotary District 6920 consists of 63 clubs with a membership of over 3200 Rotary members scattered throughout southeast Georgia including Macon, Augusta, Valdosta, Brunswick, Camden, Tift, and Savannah. 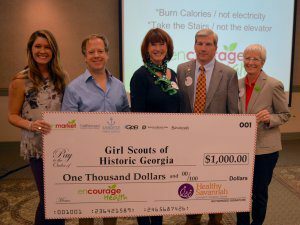 (SAVANNAH, GA) The Girl Scouts of Historic Georgia were awarded a $1,000 Encourage Health grant on Oct. 24 during the fourth and final presentation of the Enmarket 2017 Encourage Health Education Series. Launched in 1912 by Juliette Gordon Low in Savannah, the Girl Scouts of Historic Georgia is designed to develop the girls into successful, well-rounded adults. The scout program focuses on financial literacy, STEM projects, healthy living, environmental stewardship and global citizenship. It has expanded across the nation and now has more than 59 million Girl Scout alumnae. 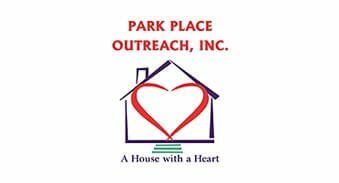 This local nonprofit is one of four groups to receive grants during the 2017 series. Other recipients include the Living Vine, Savannah Urban Garden Alliance and the Savannah Striders. Davana Pilczuk, Enmarket Encourage Health Education Series Presenter, discussed “The Forgotten Keys to Health.” Pilczuk is a human performance expert, a Healthy Savannah board member and a columnist for the Savannah Morning News. The 2017 Encourage Health Education Series featured four lunchtime presentations from respected professionals who shared insights on nutrition and fitness along with general tips for healthy living. This marks the fourth year for the Enmarket Encourage Health Education Series conducted in partnership with Healthy Savannah, Sandfly Family Dental, Gulfstream Aerospace, Hoist Water, Savannah Morning News, Savannah Magazine and GPB Savannah – WSVH 91.1/WWIO 89.9. Paula Kreissler, Executive Director of Healthy Savannah. Founded as Interstate Stations in 1963 by Robert Demere, Enmark Stations, Inc., operating as enmarket, is a family-run business committed to offering its customers top-notch service and superior products. Today, the Savannah-based company, which celebrated its 50-year anniversary in 2013, operates 60 stores in Georgia, South Carolina and North Carolina. Enmarket’s mission is to Enrich Life! Stores offer freshly prepared food and healthy snacks, high-quality double filtered gasoline, beverages, lottery services and more. Enmarket customers can save up to $.10 per gallon by using the company’s Cash Card, a reloadable stored-value card that can be used directly at the pump. Coupons, promotions, and a location finder are available on the free mobile app. For more information on enmarket, please call 912-236-1331 or visit www.enmarket.com. Follow enmarket on Twitter at @enmarkenjoy. (SAVANNAH, GA) Bethesda Academy announces plans for the 9th annual Sporting Clays Tournament on Friday, November 10 at the Forest City Gun Club. All sponsorship and event proceeds benefit Bethesda’s scholarship program for young men in grades six through twelve. The tournament includes a wild game lunch and wild game hors d’oeuvres cocktail reception both prepared by Chef Kirk Blaine. In addition, participants may attend a safety and shooting clinic prior to the 1 p.m. tournament start time. Bethesda Academy is currently seeking area businesses to consider sponsorship opportunities for the fundraiser. There are sponsor levels ranging from $7,500 to $250. Registration is also open for teams of four to participate in the tournament. Bethesda Academy’s 9th annual Sporting Clays Tournament will be held on Friday, November 10 at the Forest City Gun Club. The tournament includes a wild game lunch and wild game hors d’oeuvres cocktail reception, both prepared by Chef Kirk Blaine. All sponsorship and event proceeds benefit Bethesda’s scholarship program for young men in grades six through twelve. For sponsorship and registration information, please visit http://www.bethesdaacademy.org/giving/special-events/sporting-clays/. DO YOU USE SMALL TALK IN INTERVIEWS? WANT TO BE A BETTER MARKETER? (SAVANNAH, GA) Horizons Savannah announces the fifth annual ‘Grab a Bag for Kids’ will take place on Friday, Oct. 27, from 11 a.m. to 1 p.m. at the Savannah Golf Club, 1661 E. President St. Featured at the charity purse auction, both silent and live, are designer handbags from gently used to new, including premier brands such as Louis Vuitton, Prada, Saint Laurent, Kate Spade and Michael Kors to name a few. For more information, visit http://www.horizonssavannah.org or call 961-8854. (SAVANNAH, GA) The Savannah Film Alliance meeting will be held Thursday, November 9 from 3:00 p.m. to 5:00 p.m. at Savannah Tech. The meeting will be held in Room 7126 in the Academic Commons building (the main building). Parking is in the visitor parking lot right by the school entrance. The Savannah Film Alliance was founded in 2015 by attorney Charles Bowen. The organization promotes the film community within Savannah and the greater Coastal Empire through advocacy and action via education, outreach and collaboration. 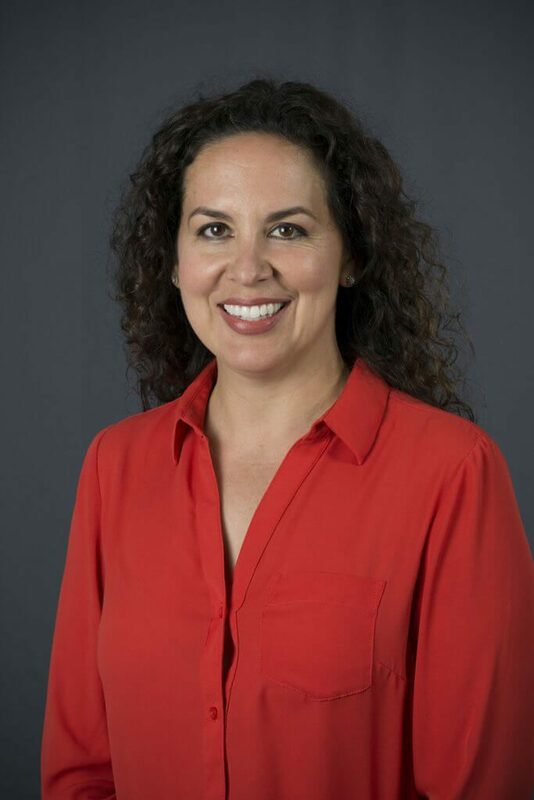 Those with a stake in the entertainment industry are invited to gather together quarterly to discuss their goals and how to improve the filmmaking experience in the Savannah area. To RSVP contact Bo Bowen at cbowen@thebowenlawgroup.com. 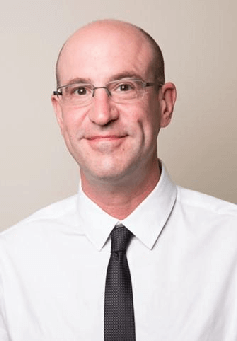 Entertainment attorney Charles Bowen founded Southern Gateway Production Services with the mission to ensure a seamless experience for out-of-town producers by providing connections with local crew, vendors and service providers. Southern Gateway Production Services is a signatory to all IATSE National Term Agreements. Bowen is recognized within the Savannah film community for his formation of the Savannah Film Alliance in 2015. As the founder of The Bowen Law Group, he has also developed a reputation as one of Savannah’s most experienced attorneys in entertainment law. Southern Gateway Production Services is located at 7 East Congress St, Suite 1001. For more information, contact Charles Bowen at cbowen@thebowenlawgroup.com or 912-544-2050. 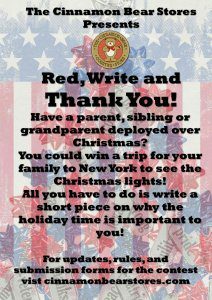 (SAVANNAH, GA) Cinnamon Bear Stores are holding a writing contest for military children and their families to win a trip for four to New York City. 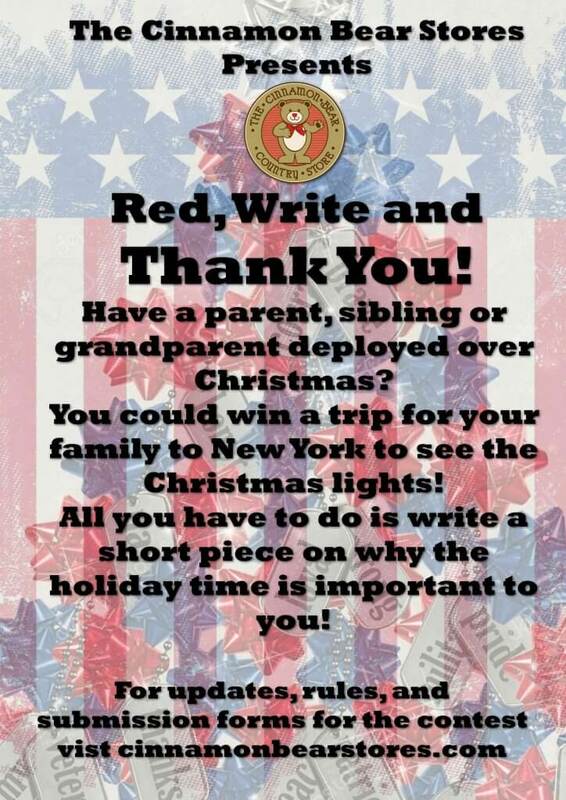 The ‘Red, Write and Thank You Christmas Contest’ is open to children ages 6 to 12 who have a family member who will be deployed during the holiday season. Participants are asked to submit an 80-word essay on one of the following topics: “I’m proud of my parent, grandparent, sibling because…”; “I would like to win this NY Christmas Trip because…”; “Christmas in the USA is special to me because…”. All entries must be handwritten and may be turned in to any of the Cinnamon Bear stores in Hilton Head Island, S.C., Savannah, Ga., and Amelia Island, Fla. Entries may also be mailed to the Cinnamon Bear Stores corporate office at 101 Kahn Industrial Court, Suite E, Savannah, Ga. 31405. The deadline is Monday, Nov. 13. The contest winner will enjoy a two-day, one-night trip to New York City, $500 spending money and tickets to The Lion King musical. 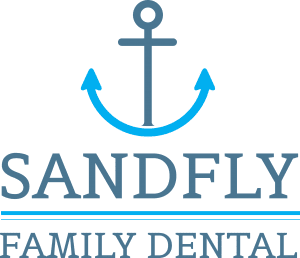 The winner and family must be available to fly from the Savannah/Hilton Head International Airport. The family-owned group of high-end gift markets has a history of partnering and supporting military programs and charities. Most recently during the grand opening of their newest store located in the Twelve Oaks Shopping Center, the Cinnamon Bear Stores partnered with the Marne Community and Spouses’ Club of Fort Stewart/Hunter Army Airfield, a 501c3 non-profit, social and welfare organization that supports the military community through social outreach, academic scholarships and welfare grants. 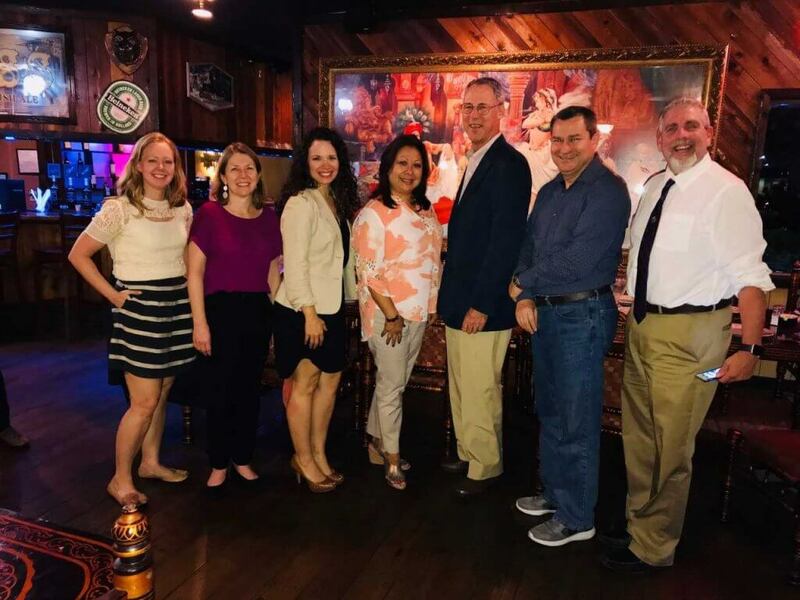 Cinnamon Bear’s owners presented $1,040 to the Marne Community and Spouses’ Club of Fort Stewart/Hunter Army Airfield which was raised by collecting a percentage of total sales at the new location. The Cinnamon Bear also offers a 15 percent discount to those with a valid military ID. Savannah, Ga.: 5500 Abercorn St., 309 West St. Julian St., and 205 E River St.
Amelia Island, Fla.: 107 Centre St.
For full contest rules and to download an entry form, visit https://cinnamonbearstores.com/contest.